The sons are having their annual exam until next week. Wish us luck!! Since my MIL is away in Delhi, I tried a few baking recipes from youtube which surprisingly turned out well. Another great news from my sewing space is I decided to gift myself an industrial machine. I've been thinking for a long time and finally decided to get this one. I will write a review next week, Insha Allah, after it's assembled. Meanwhile, servicing my Singer HD, I whipped up 2 bifold wallets. It is slight upgrade from the previous one. 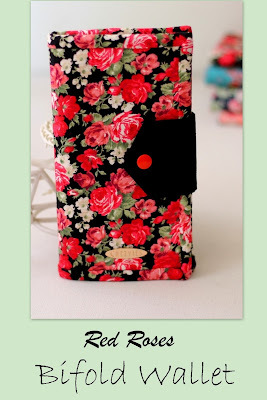 I made slightly wider version so that it can double up as a phone wallet or to keep passports while traveling. 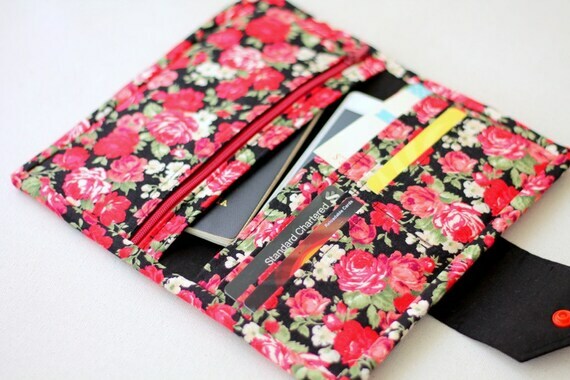 This red roses wallet was the second one I made. It was finished with binding, as usual. And frankly, it is my preferred method of finishing a wallet. The first one I made was a birthing style. If you're a bag maker, you'd know what it means? ^_^. 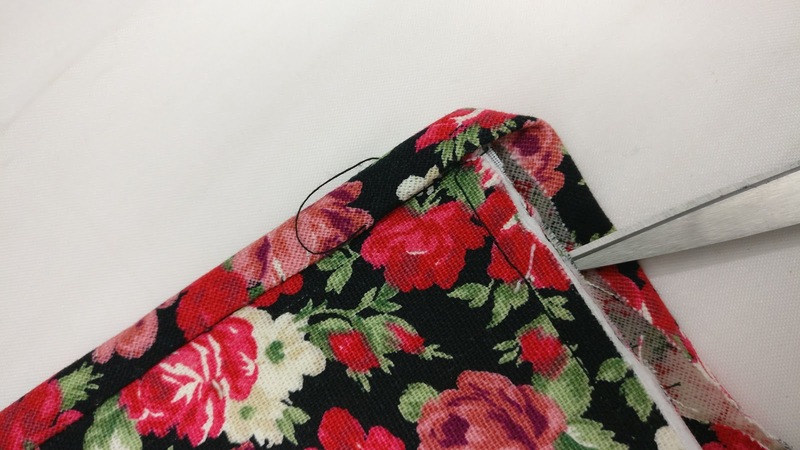 It means, you sew the wallet panels right side together, leave a gap in certain part unstitched to turn the wallet right side out. Though it came out really nice, my sons and SIL all voted for the binding one.I really love the peachy pink color though! For this peach wallet, I used only woven interfacing without any padding. 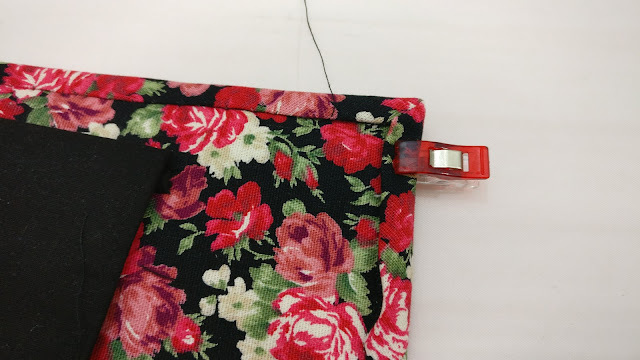 In the red roses wallet, I added fleece batting. Day before yesterday, Shweta from Arnel's mommy asked how to finish the corner of the binding. 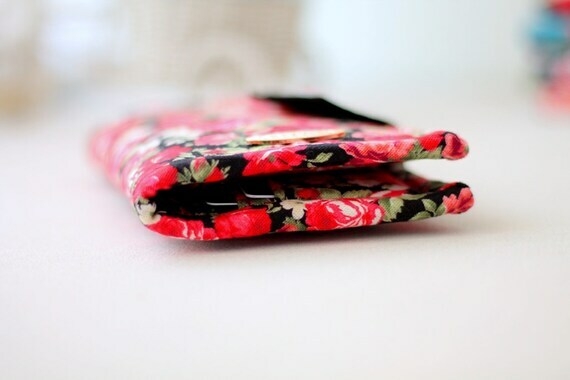 As with my other wallet patterns, I sewed the binding by machine on one side and hand sew the other side. 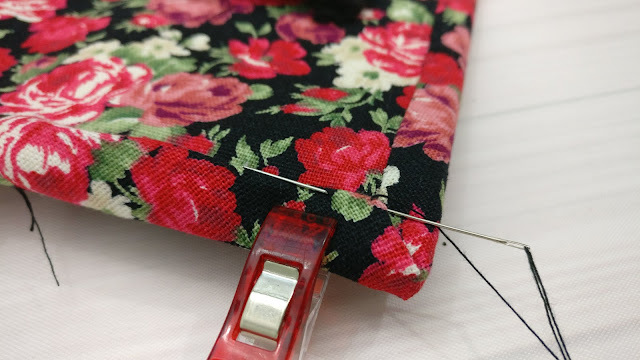 Why hand sewing? Because I love a neat finish. 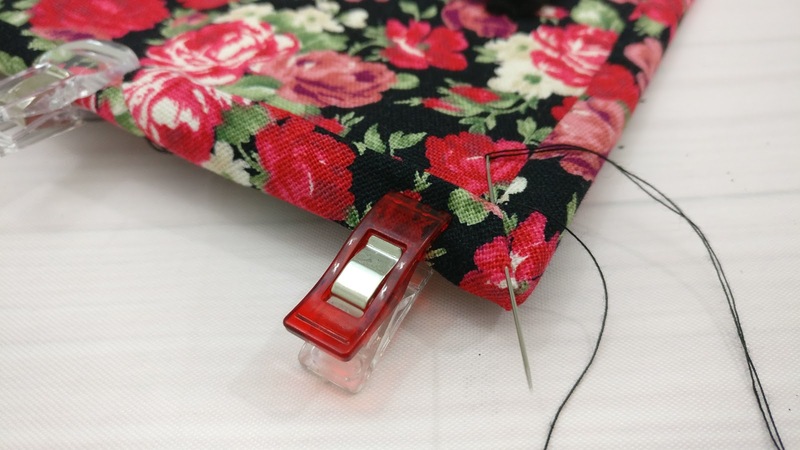 So, here is a mini tutorial, how to sew when you reach the corner. 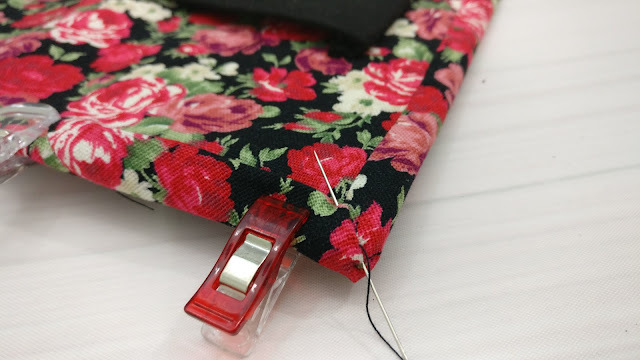 But before cutting the binding strip, make sure that the fabric grains are straight. This is important to get a good finish! 1. When you reach the corner, fold the raw edge and pull out the edge so that you get that straight diagonal line. Finger press it. 2. 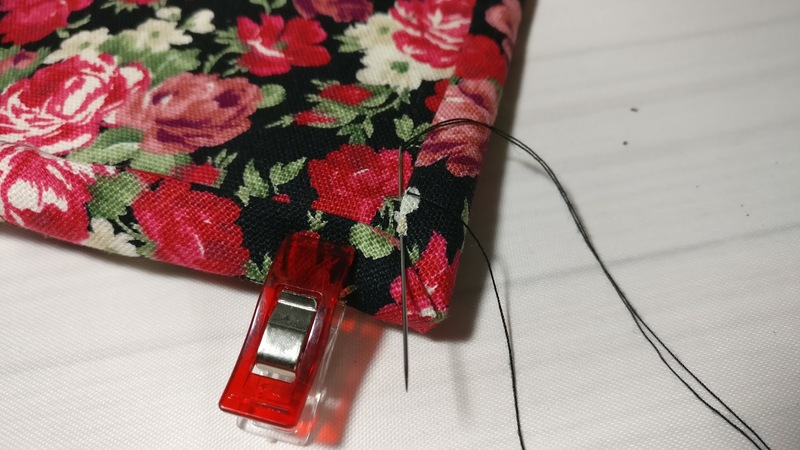 Fold it over, so that it covers the previous stitching line and clip in place. Trim the wallet raw edge if necessary. I usually trim as I go along. 3. Now continue slip stitch until you reach the corner intersection. 5. And stitch back towards the inner corner/intersection. So, that's all for today. Keep experimenting, keep sewing!